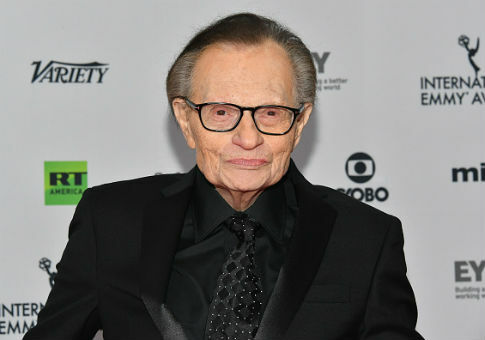 Former CNN host Larry King criticized his network of 25 years on Thursday for being "not [a] news network" and chided his former colleague Jim Acosta for his conduct at a White House press briefing. In an interview with Law and Crime Network, King said the question of whether the White House should have revoked Acosta's hard pass was an "interesting" one. "I’m a big supporter of free speech, but on the other hand, there are 50 press passes at CNN to the White House," he pointed out. Ultimately though, he said he supported CNN's lawsuit: "Of course I'll stand with Acosta and CNN and Fox – even Fox is in on it." But when it came to the actual conduct at the press conference that sparked the whole controversy, King said Acosta "was a little out of line" in refusing to yield the microphone to a White House intern. "I wouldn't have gone that far. [Trump] answered one or two questions. Then he didn’t want to answer anymore. You got a room full of people, all of whom have the right to ask questions. Jim might have gone a little far," he continued. "To me, you know what this was? Eighth grade. It was the playground, ‘That’s my ball and I wanna play today on the team.’ It was childish." King said a reporter should not make himself the "star" of a press conference, and that the spotlight ought to remain on the interview subject: in this case, the president. "It isn’t about you, it’s about him," he said. "The terrible part to me is after all those years at CNN … CNN has become – as is Fox, and MSNBC – Trump networks. There’s the anti-Trump network, the partial anti-Trump network, and the pro-Trump network. But they’re not news networks," he lamented. This entry was posted in Politics and tagged CNN, Jim Acosta. Bookmark the permalink.